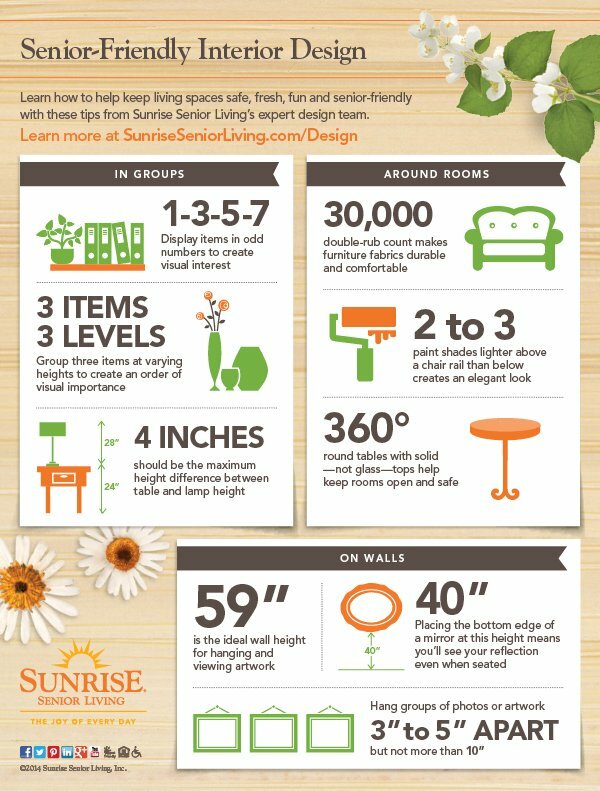 The Sunrise Senior Living design team examines every community floor plan and design detail to create a comfortable and safe space for senior residents. Many of these design features can be incorporated in your home, whether you live with a senior full time or welcome one as a guest. From mobility and accessibility to vision and safety, learn what issues to look out for and how to make simple changes in your home for your loved one.